BOISE, Idaho - Boise Cascade, L.L.C., headquartered in Boise, Idaho, has announced availability of FSC® Chain-of-Custody certified Boise Cascade Engineered Wood Products throughout North America. Boise Cascade products that can now be ordered FSC Chain-of-Custody (COC) certified include BCI® Joists with VERSA-LAM ®laminated veneer lumber (LVL) flanges, ALLJOIST® I-joists with solid-sawn flanges, Versa-Lam® LVL headers, beams and columns, VERSA-STUD® LVL framing lumber and VERSA-RIM® rim boards. 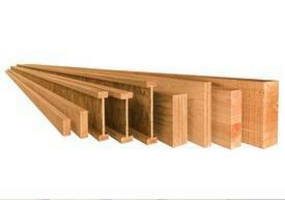 FSC COC-certified BOISE GLULAM® beams are available in Western North America and select Eastern markets. The availability of FSC COC certified Boise Cascade Engineered Wood Products means these products can now help builders achieve LEED® points under U.S. Green Building Council® residential and commercial green building programs including LEED for Homes and LEED for New Construction. Chain-of-Custody is the path taken by raw materials harvested from FSC-certified sources through processing, manufacturing and distribution until it is a final product ready for sale to the end user. FSC COC certification allows companies that manufacture and market forest products to label them with the FSC® brand consistent with Forest Stewardship Council(TM) policies. The FSC COC standard ensures FSC-certified wood is accounted for as it passes along the supply chain and ensures that when FSC-certified wood is mixed with other wood, the non FSC-certified wood does not come from controversial sources -- illegally harvested wood, wood harvested in violation of civil rights, wood harvested from forests in which high conservation values are threatened by management activities, wood harvested from areas being converted from forests to plantations or non-forest uses, or wood from forests in which genetically-modified trees are planted. In addition to the FSC® Chain-of-Custody certification, Boise Cascade Engineered Wood Products are all SFI® certified, with all wood fiber purchased in compliance with the Sustainable Forestry Initiative® standard. Boise Cascade Engineered Wood Products are also NAHB Research Center Green Approved, bearing NAHBGA certificates no. 00080-00083 and enabling homebuilders to obtain green building points through the National Green Building Standard. Boise Cascade BCI® Joists feature VERSA-LAM® LVL flanges made by peeling the tree and re-assembling it as LVL. This process uses most of the tree for structural lumber, so fewer trees are cut. 11-7/8" 6000-series BCI® Joists are about 35% stronger, use about 50% less wood fiber, are lighter in weight, less expensive to ship, easier to handle and faster to install than 2"x12" Douglas Fir #2 dimension lumber. ALLJOISTS® feature machine stress-rated solid-sawn flanges made from black spruce, a strong, dense species. 11-7/8" AJS 140-series ALLJOISTS® are about 35% stronger, 95% stiffer and use about 35% less wood fiber than 2"x12" SPF #2 dimension lumber joists, and are available in Eastern North American markets. Versa-Lam® LVL beams, headers and columns are also available FSC Chain-of-Custody certified, as is VERSA-STUD®, which offers at least 2.1 times more bending strength and 20% more stiffness than no. 2 SPF studs. Boise Cascade, L.L.C., headquartered in Boise, Idaho, manufactures engineered wood products with improved structural characteristics and use our forests more efficiently. Boise Cascade, L.L.C. also manufactures plywood, lumber and particleboard and distributes a broad line of building materials including wood products manufactured by the company. For more information, visit the Boise Cascade website at www.bc.com. Treated Lumber suits dry-use applications.